Looking for a professional dentist in Cape Town, then you are at the right place! With two generations of family dentists serving the community, we are well known dentists in Cape Town, as well as Sea Point. Dental Studio Cape Town was established by Dr. B Beilinsohn, who has been a member of the South African Dental Association for the last 20 years. With extensive training and expertise in all areas of general dentistry, particularly reconstructive, restorative and preventative dentistry, Cape Town Dental Studio provides a full range of dental and oral health care services. 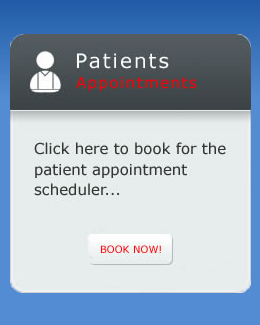 This makes us one of Cape Town`s premier full-service dental practices. We offer a vast variety of dental services. Our Cosmetic Dentistry, which is designed for aesthetic improvements in oral care, includes Teeth Whitening/ Bleaching and Luma Whitening. These vastly improved treatments whiten just about any teeth whether on the chair in one or two sessions or through an easy and effective home care routine. Porcelain Veneers not only give you whiter teeth but redesign your existing teeth structure to give you that million dollar smile! Composite Bonding, another fantastic cosmetic approach uses a resin applied directly onto the teeth to fix and reshape unsightly chips, gaps and misshaped teeth. Porcelain Crowns reshape and better the look of single teeth requiring attention, extra body and strength due to damage and severe discolourations. Dental Implants, a procedure in which titanium screws which are inserted into the gum to firmly hold replacement teeth in place. Post and Core, similar to implants but not including the titanium screw insertions, this is a procedure which is needed for the foundation of a crown when the existing tooth structure is not strong enough. Root Canal Therapy, a treatment which is mandatory when a nerve which supplies and is attached to a tooth, begins to decay and the tooth and nerve need to be eradicated. This is generally followed by the insertion of root fillings and a crown. Dental Bridge work and Partial Dentures are therapies in which missing teeth are replaced either permanently or temporarily- respectively. While Dental Bridges have crowns on neighbouring teeth to anchor the replacement teeth, Removable Partial Dentures have attachments on neighbouring teeth which can be removed while sleeping. Teeth Extractions are a common and necessary treatment when a tooth is unrestorable for whatever reason, and needs to be removed before causing problems for surrounding teeth. Many youngsters prefer teeth removal of teeth and advice on the way forward for optimal care for their new teeth. Our Sea Point dentist practice will take care of all your paediatric dentist needs. This is a brief overview of the dental services we provide. Whatever your dental requirement, our aim is to give you the confidence to put that smile back on your face! For enquiries and appointment bookings please feel free to contact a dentist in Cape Town and we will gladly assist you.